Our Reclaimed Beam Annex is full of over 500 Beams to be used as decorative timbers or mantles. These pieces range in size from 3″ x 3″ to some as large as 12″ x 14″ and range in length from 4 or 5′ to 12′ and longer. Longer lengths in specific dimensions can be hard to find, however because of the network of salvage professionals we are associated with we are able to take orders for specific sizes and lengths. On a daily basis we invite all to come visit our Beam Annex to see the unfinished treasures it is home to. Reclaimed Beams from old barns, drying shed and other rural structures. Our Reclaimed Beams are accessible and stored under cover. 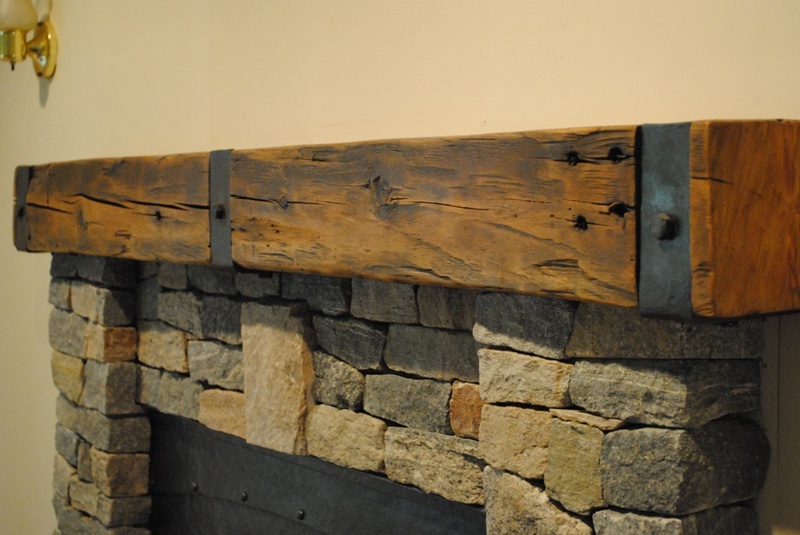 Here at Bingham Lumber we can also apply a custom finish to these Reclaimed Beams and decorative pieces to finish off your living or dining room. These beams are then carefully restored and finished by our Bingham team of craftsmen with finishes ranging from stains and top coats to a light sand and cleaning. Please come in to check out our options for custom beams and mantles. Here are some images from our customers! Also see a small selection of what we have in stock by Clicking Here.